Education is the cornerstone of everything we do at the Tyler Museum of Art. The word “educational” precedes even “cultural” in our organization’s mission statement – and with good reason. Since the Museum opened in 1971, we have welcomed hundreds of thousands of children and young adults, many of whom have had the first art museum experience of their childhood with us. 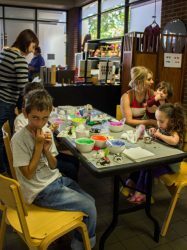 Free admission, interactive art projects, light snacks and a festive atmosphere for all ages are on the menu from 2-4 p.m. the second Saturday of each month with the Tyler Museum of Art’s Family Day. This popular program focuses on fostering a deeper understanding of the Museum’s spotlight exhibitions – and, above all, having fun! To RSVP for groups of 10 or more, please call (903) 595-1001 or e-mail info@tylermuseum.org. 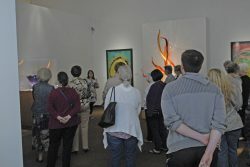 The first Friday of each month, the TMA offers a full day of free admission plus guided tours of its spotlight exhibitions at 11:00 a.m. From contemporary Texas art to Hudson River School to Andy Warhol, each tour is unique! Each spring, the TMA offers dozens of aspiring artists the opportunity to show their work in a full-scale, professionally curated museum exhibition with this enduring program. 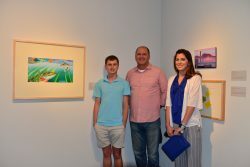 Entry is open to all senior-level high school students as selected by their art instructors, with an average of 70 young artists participating each year. Five outstanding works as selected by a jury of art professors from local colleges and universities are presented with “Merit of Honor” awards during the Opening Reception and Awards Ceremony, when the community is invited to meet the participating artists, enjoy light refreshments – and cast their votes for the annual Viewers’ Choice Award presented at the exhibition’s conclusion. All participating artists receive Certificates of Participation and one-year student memberships to the TMA. Each November, TMA showcases artwork by more than 200 sixth-grade students in this popular community program, opening with a celebration of “Dia de los Muertos” (“Day of the Dead”), the traditional Mexican holiday honoring memories of family and friends. TMA invites noted artists, historians and authors to educate museumgoers on art and art history in conjunction with current exhibitions during a series of three public programs held each fall, spring and summer. The Museum engages artists who are the focus of exhibitions to offer tours and insights into their work for members at the preview openings of each new show. 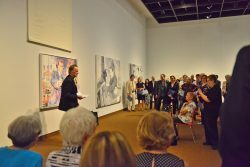 Additionally, TMA holds special Sunday afternoon and Thursday evening talks featuring artists and art historians throughout the year. From late June to early August, close to 70 kids ages 7-13 and older dive into hands-on art experiences in a series of half-day and full-day camps. 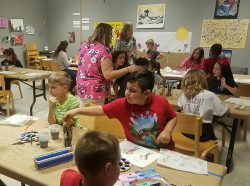 Each session is supervised by degreed artists and educators, and culminates with a small exhibition of campers’ work and a community reception. The Museum’s Education Department engages close to 150 cancer survivors each year in this quarterly partnership with Texas Oncology, reaching into the community to spread awareness of art’s therapeutic value. For information about any of these programs, contact Education Director Derek Frazier at (903) 595-1001 ext. 206 or dfrazier@tylermuseum.org.